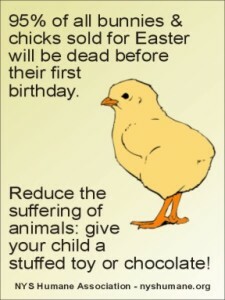 The website page containing the article Say No to Animals for Easter was updated with graphics. These graphics are available for you to print in order to display in a classroom, for example. We have to admit that many of these great graphics were created by other organizations and posted on the internet.